Remedy Entertainment and Microsoft Studios gave players an all-new look inside the world of Quantum Break at The Game Awards 2015. 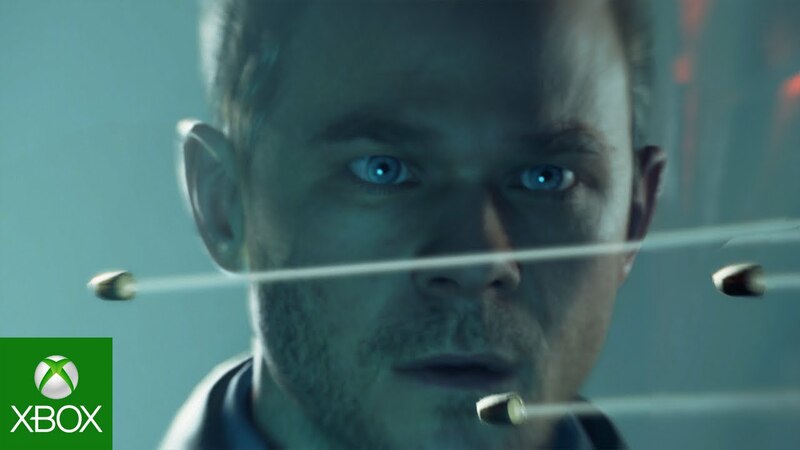 Shawn Ashmore, who plays the main protagonist Jack Joyce, was present onstage to reveal a new trailer with never-before seen content captured all in-game. Narrated by Shawn as Jack Joyce, the trailer shows how Jack gains time manipulation powers as a result of a catastrophic accident. In tandem, a fracture in time threatens to lead to the end of time itself, and only Jack can stop it. The new trailer highlights the game’s Frozen Scenes of Drama, where Jack explores the world from the unique perspective of frozen time. Players have other time-based mechanics to look forward to in Quantum Break, including time-amplified combat and Stutters, where the breakdown of time causes disasters in the environment to pause, rewind and loop violently, forcing players to strategically use their time powers in order to navigate through the chaos and destruction to safety. Quantum Break is helmed by Remedy Entertainment, masters of creating cinematic experiences that seamlessly blend innovative, adrenaline-fueled gameplay with deep and thoughtful narrative. Quantum Break will be released exclusively for the Xbox One on April 5, 2016.